Cannellini beans are a fine substitute for great northern beans, and spinach can stand in for kale, so use what you have on hand. Link style Italian sausage may also be used, depending on your textural preference. Slice it into coins before cooking. 1. Heat a Dutch oven over medium heat and add the sausage. Cook and stir until lightly browned and no longer pink. Remove the sausage to a plate and, drain the fat, reserving about a Tbsp of fat in the pot. 2. Add the carrots and onions to the pot and cook, stirring occasionally, until the veggies begin to soften. Add the garlic, stir, and cook another 30 seconds or so. 3. 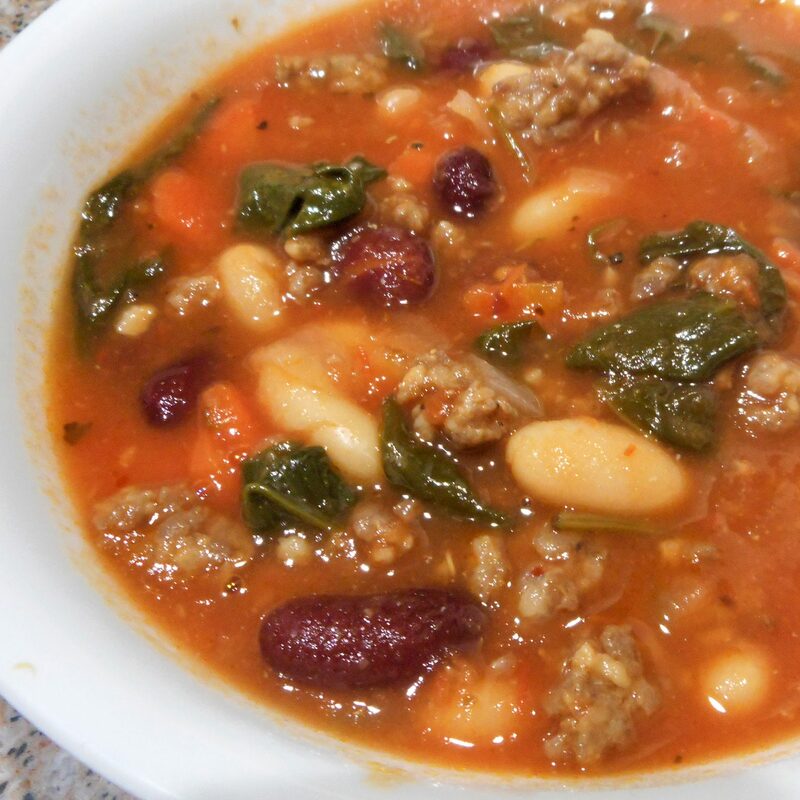 Add the tomatoes and bring to a strong simmer then add the stock, reserved sausage, beans, and spices. Bring to a boil, then reduce the heat again to simmer. Simmer 20 minutes. 4. Add the kale or spinach and allow to wilt, but not melt. 5. Top each serving with cheese.